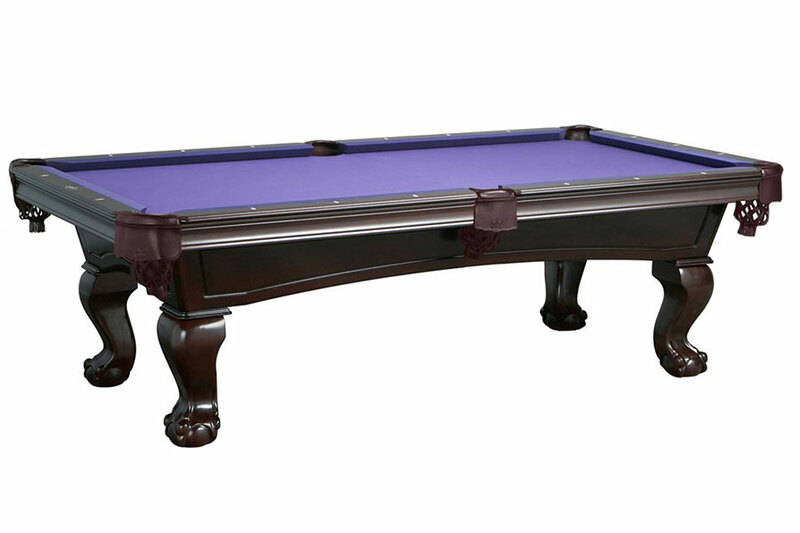 Add elegance to any game room with The Lincoln Billiard Table from Imperial. Available in 8-foot, this table features solid wood rails, body, and ball and claw style legs. Other features include fringed leather drop pockets, 1-inch backed K pattern slate, K66 cushion rubber, and double diamond pearlized sites. Our Uni-Body design makes assembly and disassembly easier; the body comes fully assembled and the double crossbeam construction supports the slate and adds stability to the table. The Lincoln billiard table is a great addition to any home. Cloth not included with table; purchase your choice of style and color separately.